The San Carlos Solar Energy Inc., SaCaSol 1C/1D, 23 MWp Power Plant phases were commissioned together in August 2015. The SaCaSol 1C/1D PV Power Plants have been installed near San Carlos City, Negros Occidental, next to the already operational 22 MWp SaCaSol 1A/1B PV Power Plants commissioned in May and August 2014 respectively. San Carlos Solar Energy Inc. is a joint venture between the local clean energy developer, Bronzeoak Philippines and European-based asset management and project finance group, ThomasLloyd. 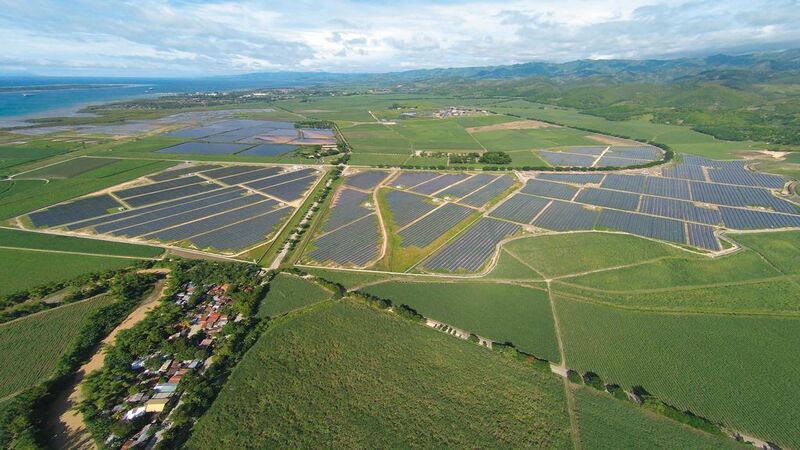 SaCaSol 1C/1D uses 88,950 PV modules to produce some 30,700 MWh of CO2-free electricity per year and supplying more than 11,000 homes in the Philippines annually. Syntegra Solar’s comprehensive Owners Engineer Services for the SaCaSol PV Power Plants cover all quality assurance aspects of the designs along with continuous on-site QA/QC management, from groundbreaking for site-preparation up to and including Commissioning and FAT Final Acceptance Testing. After the commissioning of the SaCaSol 1C/1D Power Plants, Syntegra was engaged to supervise initial O&M, making sure that all punchlist items were addressed in due time.